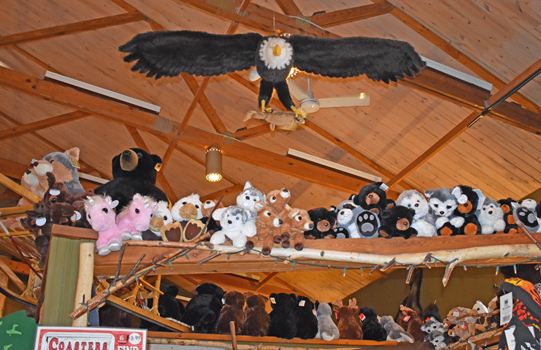 Welcome to the Tahquamenon Falls Brewery and Pub Gift Shop. 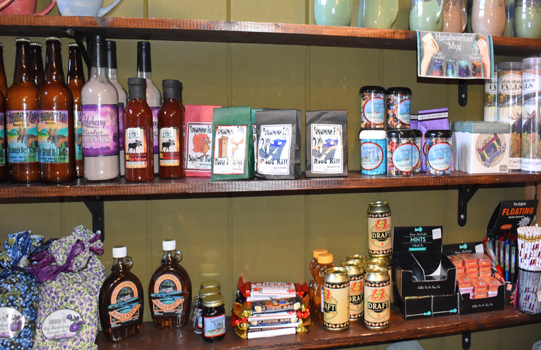 We have a vast array of great Upper Peninsula Gifts and Souvenirs and a wide selection of items for every age group. 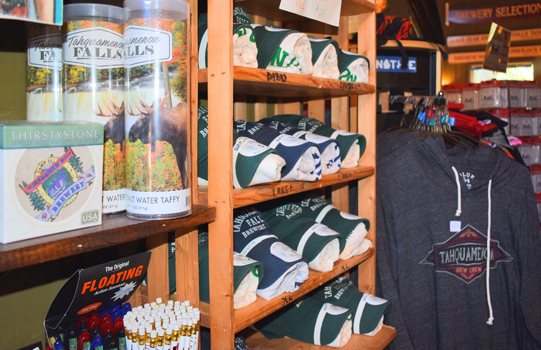 The Tahquamenon Falls Brewery and Pub Gift Shop is open during the same hours as the restaurant and pub. 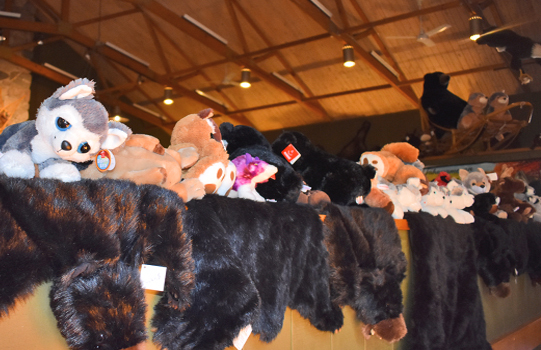 Our stock includes: candles, mugs, jewelry, stuffed animals, blankets, souvenirs, maple syrup, toys, cooking sauces & batters, coaster, signs, glasses, shot glasses, along with a great amount of clothing. Our Upper Michigan weather can be unpredictable. 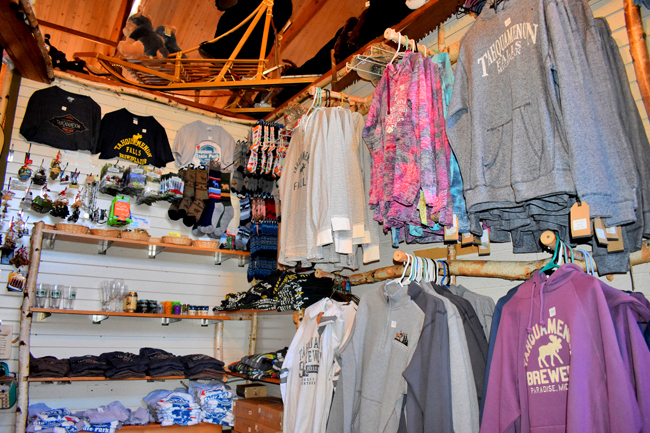 Our shop has plenty of jackets, t-shirts, hats, caps, mittens, socks, and hooded sweatshirts. Guests can also purchase a wide selection of fine art prints, photography, wine racks, & artisan made items throughout our large dining and pub area. 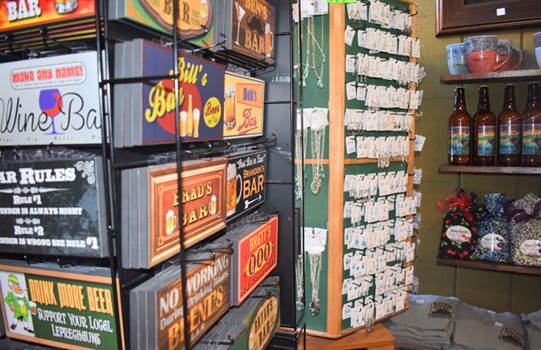 Make sure to visit the Camp 33 Gift Shop located next door to the pub. 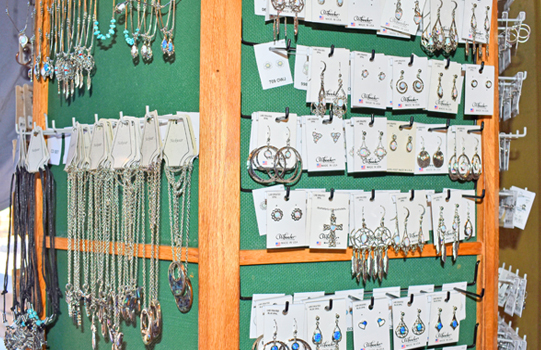 This establishment features a large 2 story building that is stocked with great Upper Peninsula gifts, souvenirs, clothing, jewelry, art, and more.